15th August 2017 . This is a photograph I have wanted to take for some time. 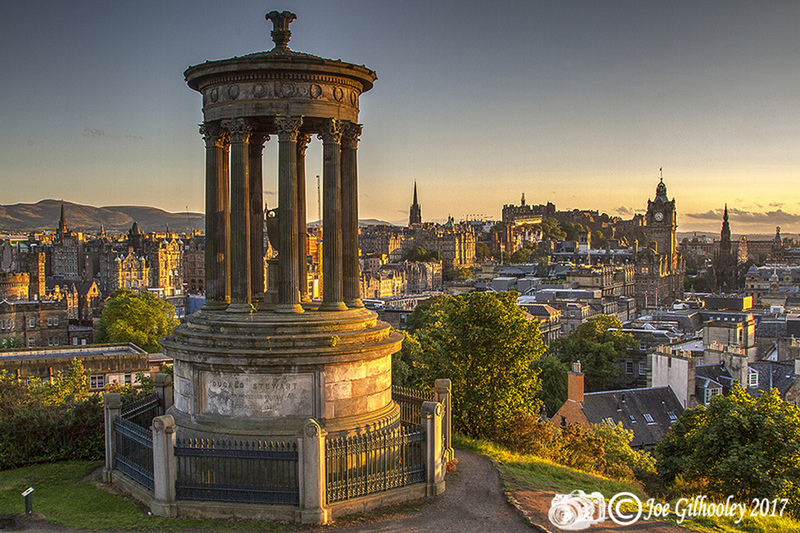 The Dugald Stewart Monument is one of the best known landmarks on Edinburgh's Calton Hill. 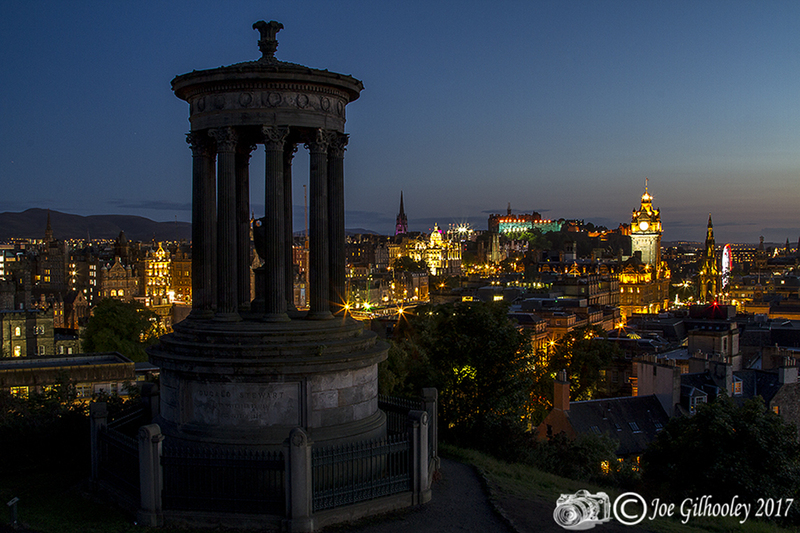 It makes a wonderful foreground to views of the Edinburgh city centre skyline. I took two images. As the sun was setting. Then just after twilight as lights came on.